It may seem a bit strange to talk about a festival that revolves around Sweet Potatoes, but welcome to Japan, where there's a festival for just about everything. We first found out about the Sweet Potato Festival from a fellow teacher and tried to find some information (there wasn't much information - in English - available online). After attempting to translate as much as we could (with the help from Google Translate), we found out the exact location of the festival, because even though Kurimoto isn't that far from us (about a 20 minute drive), we didn't know the exact location until we did the research. It turns out that the festival is one of the biggest around, celebrating the end of the harvest, and dignifying the ancient Sweet Potato in Japan. Now, sweet potatoes in Japan are much different than the ones in America. 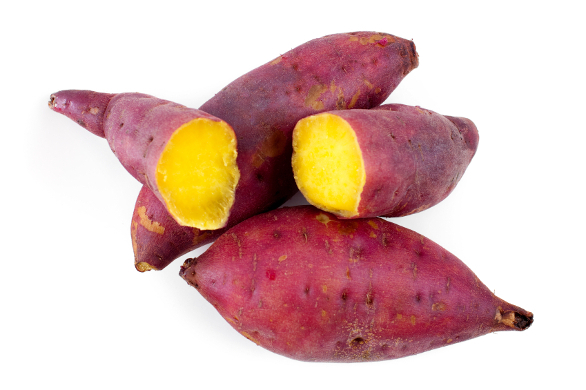 Japanese Sweet Potatoes are unique, in that they aren't just sweet, but also flavorful. Sure, you can't make yams out of them, but you can add them into a lot of other things, like vegetable stew, curry, and others! Just be careful not to cut your hand, as they are very tough to cut. Anyway, we expected the festival to be something small - I mean, who's even heard of Kurimoto? Well, as we found out, it was huge! There were multiple parking lots that were already packed, buses taking people to and from the satellite lots, and there was a massive crowd once we arrived. 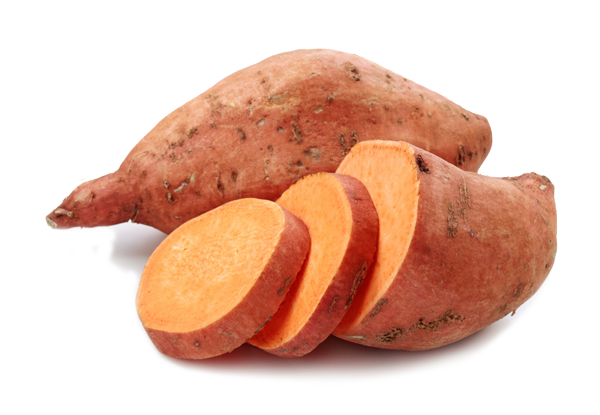 We also expected to have lots of sweet potato-related food. Well, just like any festival, there was a large selection of food - both sweet potato related and not (what do "chocolate covered bananas" and "deep fried oreos" count as?). There was also a large stage that had a backdrop made completely of vegetables. There was also a large crane that supported a huge pot of soup....but we didn't get any. By the next available serving time, there was already a line 200+ people long, and we didn't want to wait all day and not enjoy the festival. 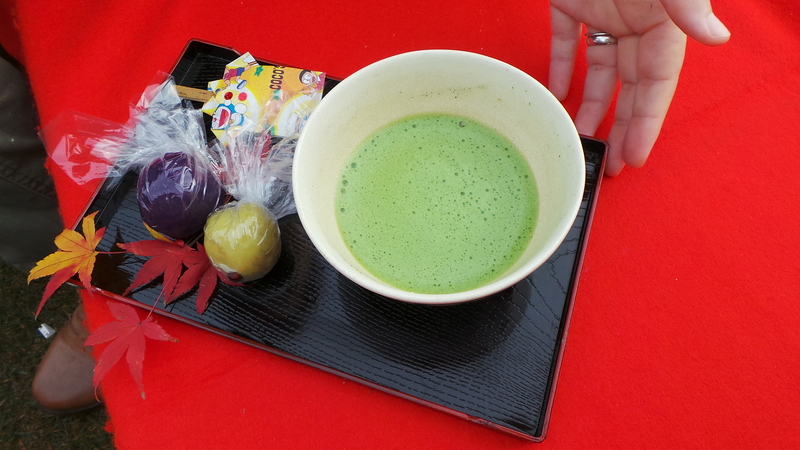 Some neat matcha tea and treats! We did meet up with a few friends of ours, Georgie and Dax, and had a little "Gaijin Group" going around the festival. Tea, taiyaki, a visit to the bazaar, and a small shrine later, and we were done. 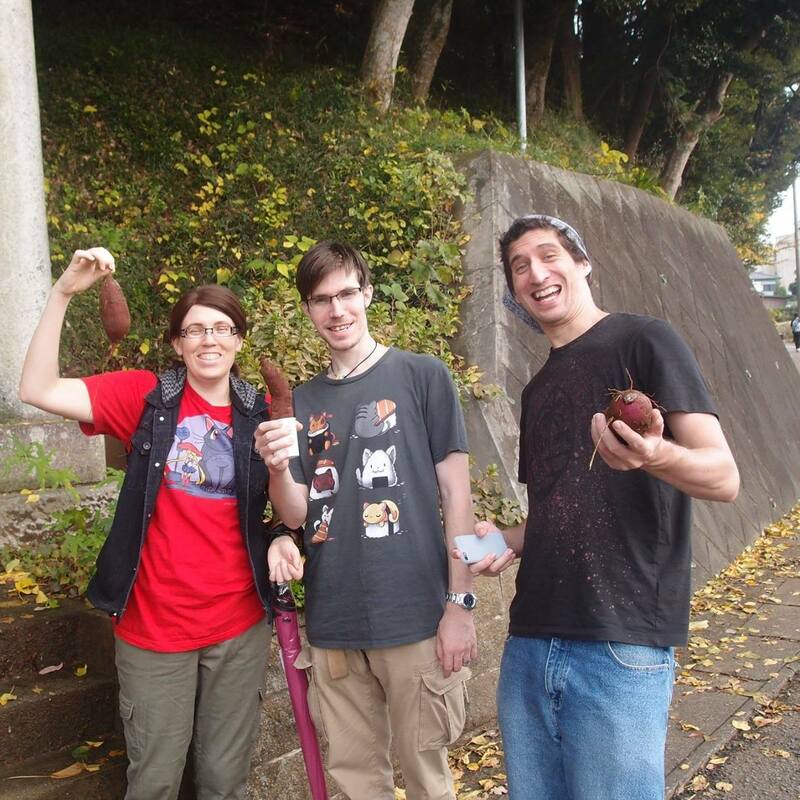 We also explored an area where you could roast your own sweet potato in the ground to eat later - Yes, Japanese people eat roasted sweet potatoes by themselves; no main meal required, it's a snack in itself! Upon our discovery, we found an area where some people were digging up sweet potatoes from the ground. We asked if we could take some photos, and they said yes, then asked us where we were from and what we did. After explaining that we were all ALT's, they gave us some free sweet potatoes! Fresh from the ground and still covered in dirt (and sticky!). Since we arrived at the festival near it's end (regardless of the crowd size), there wasn't much left to do, but it was still fun. Even though it was our first time to this festival, and it was definitely winding down, it was still fun, and now we know to attend it on a Saturday (and early) next time.